Back Bay Fens, Boston, MA | Ming's Photo Blog! This spring comes a bit late — though it is mid-April now, flowers are not quite ready to bloom and trees are not prepared to wearing on the green “clothes” yet. But there are always early birds. 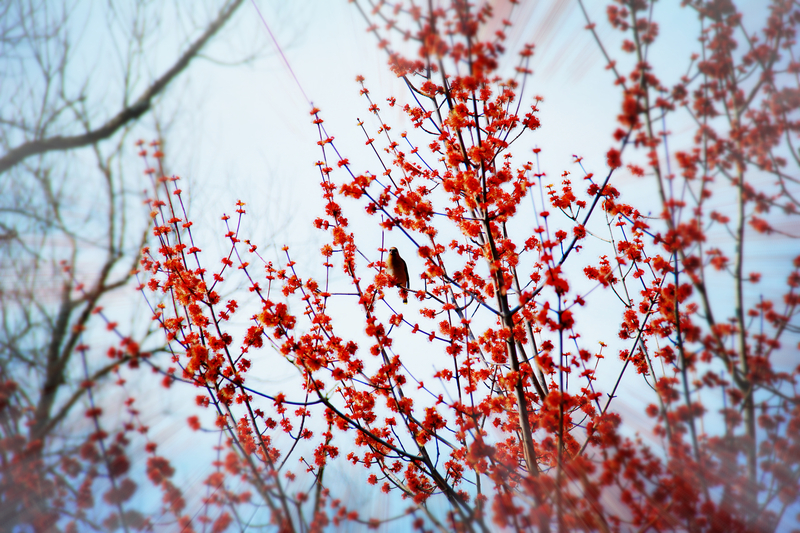 Right in the Back Bay Fens, the only tree with lovely small red flowers attracted not only me, but also a couple of American Robin. This entry was posted in Boston and tagged Boston, Massachusetts, Still life. Bookmark the permalink.